So familiar that they are often overlooked, blackbirds are one of my favourites precisely because they are always around. Usually to be seen in pairs, the male [above] is black with a yellow beak and a yellow ring around his eye. The female [below] is dark brown with the same yellow beak and a dark spotted or mottled underside. Always singing, either for the dawn chorus, a musical warbling, when happy; or an agitated sharp ‘pink pink pink’ usually when we are out on one of our walks and tread too near a nest. Last spring a pair of blackbirds raised two broods in a small nest in a honeysuckle bush, so we are hoping they will return this year. 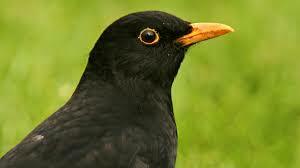 Listen to the blackbird’s song here at You Tube. 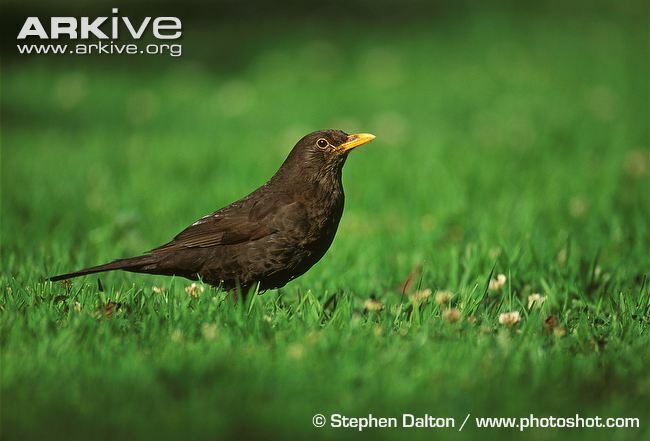 Click here for more about blackbirds at the RSPB website… or at Arkive. This entry was posted in Nature and tagged Andalucia, birds, nature, Sandra Danby, Spain, travel on March 11, 2015 by sandradan1. I love them too. They’re rather fond of worms I remember. 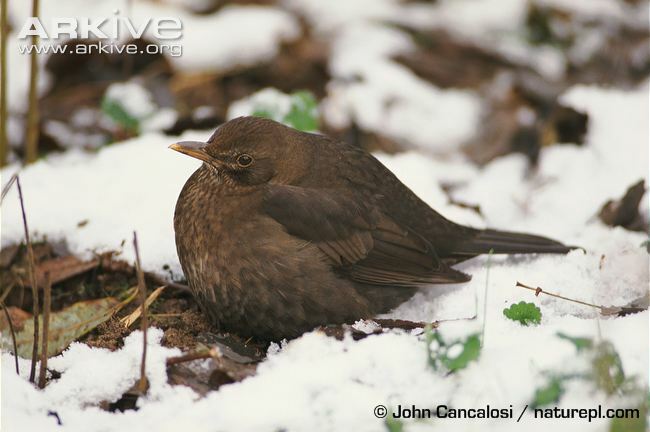 One more item for your wordlist – el mirlo, the blackbird itself.